What are YOU doing tonight? Or tomorrow night? Or Saturday or Sunday night? 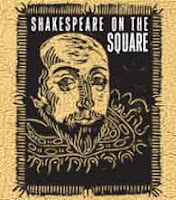 If you have any of these evenings free or really any Thursday, Friday, Saturday or Sunday night free through August 15, you should totally be heading down to Market Square at 7 p.m. for the FREE Shakespeare on the Square performances. The Tennessee Stage Company may not have Leonardo DiCaprio or Claire Danes, but they're bringing you Romeo and Juliet anyway on the stage at Market Square. I don't think I need to give you any background on R&J -- you know the drill -- That which we call a rose by any other name would smell as sweet, and all that jazz. On alternate nights you can see The Complete Works of William Shakespeare (Abridged). If you're unfamiliar with this little parody of the Bard's work, trust me when I tell you it is worth the effort of parking in the Market Square Garage to see. Three actors squeeze all of old Will's works into one tidy little show, complete with corny jokes, pop culture references and a little crowd interaction. Here's the complete schedule if you're aiming for one show or the other. If you like what you see, I'd encourage you to bring some cash to donate to the TSC to help cover their expenses and the good works they provide to our community. They usually have T-shirts for sale that look like the above artwork, if you're into sporting that fine fellow on your frontside. AND DON'T FORGET YOUR LAWN CHAIRS!! I've sat on my rear end for a whole performance, and while it can be done I don't recommend it. Hipsters for Haslam! Slumlords for Stacey!